There are two regional drinks of the Charente. One is Cognac, named after the town there where from the 13th century this brandy has been brewed. The other is Pineau, a kind of poor-man’s cognac, originally made from the dregs from the cognac. It is more likely what you’ll find the local’s drink. It is not as strong and has a very nutty taste. In fact it tastes very much like a mix between cognac and amaretto. Two thumbs up. Farm life is a manly world of hard work and self-sufficiency. As such I felt right at home. Is someone laughing? Whilst there, as well as ridding a wall of a vast, dangerous, and, some would say, carnivorous, Ivy infestation, I sifted rocks, hacked down nettles as tall as a short human, encountered all manner of wild beasties, and, people, I repaired my own hat. 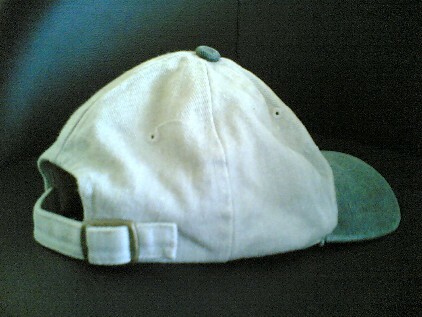 There are people – many people – who faced with the non-fastenability of their hat would throw said hat to the ground and declare it lost. I used to be such a guy. Now, I reach for the pliers, then the hammer and a piece of wood and I repair that hat and then I place it upon my head and declare, people, I fixed this!!! Meanwhile my father has almost-single-handedly extended the house, repaired several barns and dug metres and metres of trenches. But, people, forget perspective: look at the hat.